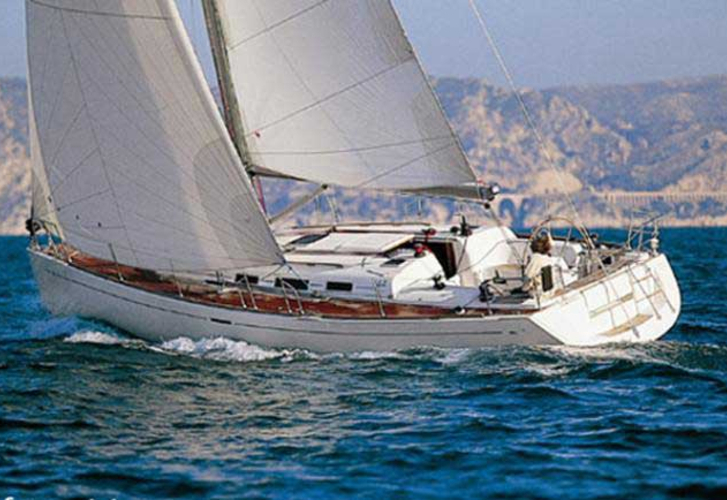 Sailboat Dufour 44 called Tatiana has been produced in 2008. 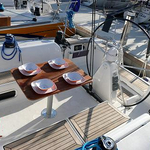 We offer this boat from marina Tivat around Kotor. Tatiana is licensed for 8 passengers. 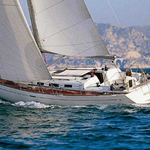 Layout of the sailboat is 8. 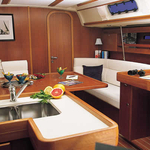 Dufour 44 Tatiana is equipped with 4 bedrooms. For comfort of passengers there are 2 toilettes. You can fill the fuel tank with 100.00 l l. and in water tank it goes even 410.00 l liters. With engine 55 Tatiana can sail really fast. Tatiana is 13.65 meters long and 4.24 m wide. 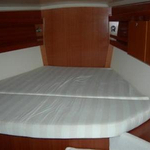 Depth is 2.20 m. Use our website to find our offer by navigating to this section: Yacht charter Tivat. 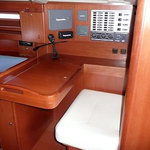 Boat's equipment consists of : Autopilot, Radar, 2 refrigerators, CD/MP3 player, outside speakers, Electric hallyard winch, Mainsail with lazy jack, Electric fresh water pump, Inverter 12v-220v, Solar panels. . Nonrefundable deposit is at the level of 1500.00 EUR. 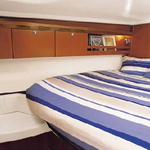 Choose our offer and enjoy your vacation on the deck of Tatiana. 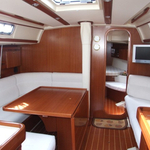 This Dufour 44 from Tivat from Montenegro You can get by clicking on this link: Yacht charter Montenegro.